Few people can argue that Google has become the default search engine for the internet. 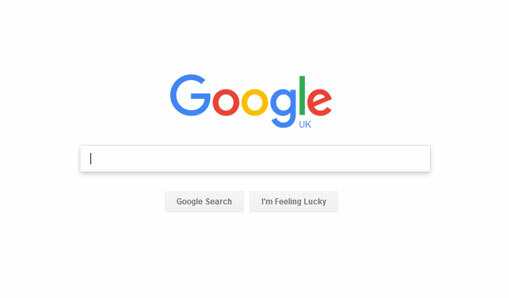 In fact, such is the extent to which Google embedded itself in the public consciousness that some users actually mistake Google for the Internet itself, typing a website address into the search bar instead of the browser address field. It’s safe to assume, therefore, that if your website isn’t on Google, it won’t be found by anyone that doesn’t know its domain name (website address). But getting a site added to the Google index isn’t really the problem – even if you do nothing, Google will probably find your site by itself and add it to its database. The problem is getting your website to rank well on Google for the keyword (or keyphrase) that you want your site to be found with. If the keyword is very competitive (such as “iPhone”) then you’ll be fighting companies with multi-million pound budgets put aside exclusively for search engine optimisation (SEO) campaigns. However, if your targeted keyphrase is in a ‘niche’ (such as “brockenhurst leather flip flops”), it’ll be quite easy to get a website onto page one of the Google Search Engine Results Pages (SERPs) – which is great, as long as people are searching for “brockenhurst leather flip flops”. So the key to making a website Google-friendly is to create original, useful content that focuses on a reasonably uncompetitive keyphrase. Again, on-page optimisation is quite straightforward – once a keyphrase has been selected for the page, it should be woven appropriately into the title, headings and body content. You should always write primarily for the user rather than the search engine – the content will be much more readable as a result. First, however, a keyphrase with high demand and low supply must be found. The Google Keyword tool is very useful for this purpose – it displays the keyphrase typed in (along with other suggestions) next to many people have searched for it in the last month (the demand) – alongside the number of Google Adwords adverts that appear when that phrase is entered (the supply). Then it’s a case of finding a phrase that has high demand and low supply that is relevant to your website. There other factors that have a bearing on where your page ranks in Google (and other search engines).